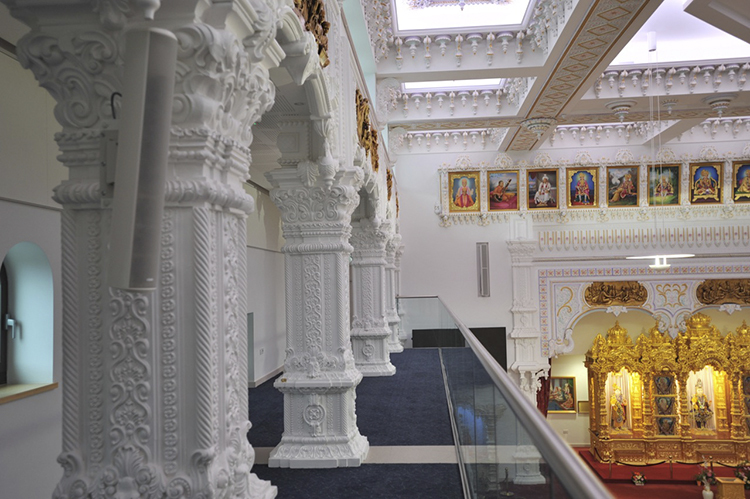 The Shree Swaminarayan Mandir Kingsbury opened in August 2014, built at a cost of around £20m. 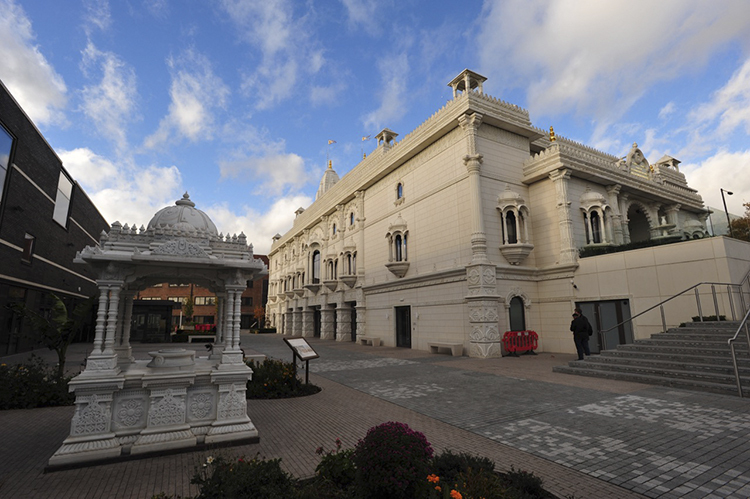 While principally a place of worship, the Mandir and surrounding facilities that make up Shree Muktajeevan Swamibapa Complex play host to a range of cultural, artistic, sporting, educational and charitable activities, all inspired by His Divine Holiness Acharya Swamishree Purushottampriyadasji Maharaj, the current sovereign of Shree Swaminarayan Gadi. 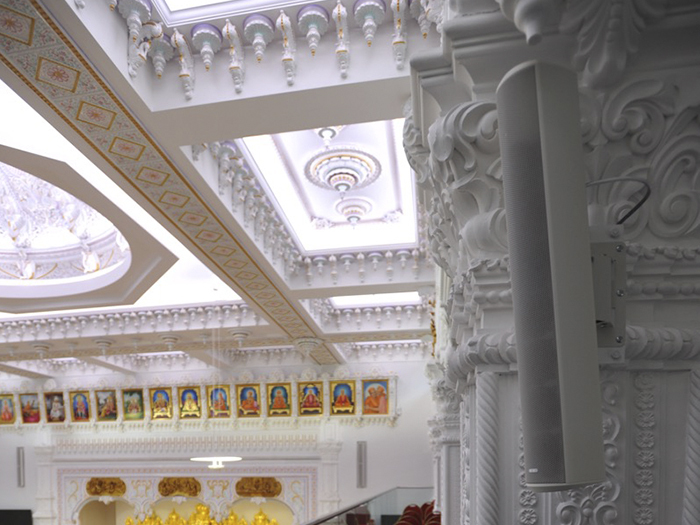 The Mandir has undergone renovations and audio upgrades since its grand opening in 2014, and most recently in 2016 Autograph Sales & Installations were involved in the design, supply and commissioning of an integrated audio system throughout the main building which houses the temple, offices, a secondary space (The Dharma Hall) and kitchens. Autograph selected Tannoy loudspeakers with amplification from Lab.gruppen to meet the demands of the installation. Due to the nature of Gujurati indigenous musical instruments and the music and spoken word which is integral to their ceremonial life, the demands on the audio system were somewhat unusual especially in terms of frequency reproduction. It was also essential that the system be able to deliver fairly high continuous SPLs with clarity and definition whilst being as unobtrusive as possible. All the Tannoy loudspeakers and brackets were therefore delivered in white to match the decor. 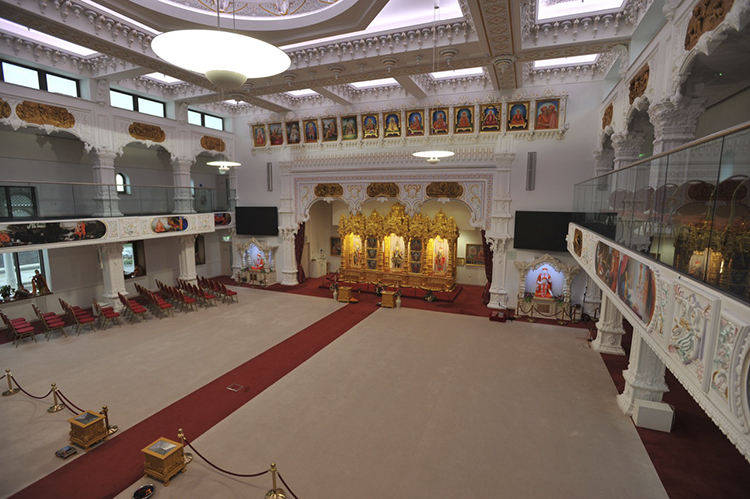 The main temple space audio system is based around a pair of Tannoy Q-Flex 32 modules, mounted in specially-designed alcoves in the front wall above and either side of the central feature housing the idols. A key operational feature of the Q-Flex modules is that their beam-steering capability is used so that they cover only the temple floor – it is a reverberant space and this assists greatly in creating intelligible sound. Low frequency reinforcement is provided by 4 x Tannoy VSX10BP units located on the floor alongside columns and a pair of Tannoy Di5s are discreetly wall-mounted to provide main system in-fills for areas outside the coverage of the Q-Flex. Further reinforcement is given by Tannoy VLS15s mounted either side of the space while 24 x Tannoy CMS501DC BM are mounted in the ceiling below the balcony. A further pair of Tannoy VLS15s are mounted on the upstairs balcony, sited to provide coverage of a specific space surrounded by a high glass safety barrier. 4 x Tannoy VSX10BPs provide low frequencies for the balcony area. 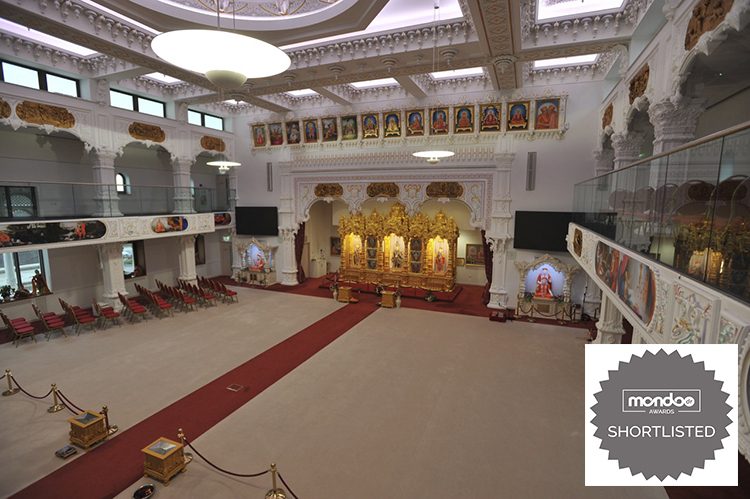 In the Dharma Hall 12 x Tannoy DVS6T are mounted in opposing pairs along the long sides. The room can be partitioned off to provide three separate spaces, each with their own sound system. A further 12 x Tannoy CVS6 and 4 x Tannoy DVS6T units are installed in and around the main building, including corridors, kitchens and outer zones. 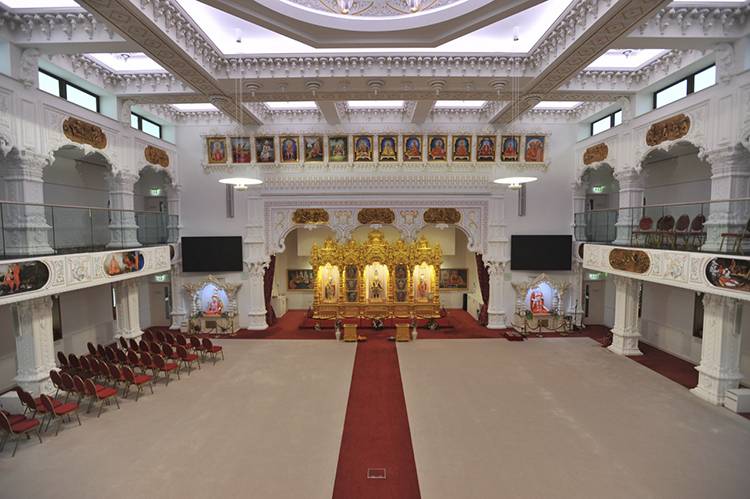 Lab.gruppen amplifiers were also supplied to power some of the new Tannoy loudspeakers installed, an E 12:2 for the Q-Flex in the main temple and 4 x E8:2 unit for the Dharma Hall and other zones.